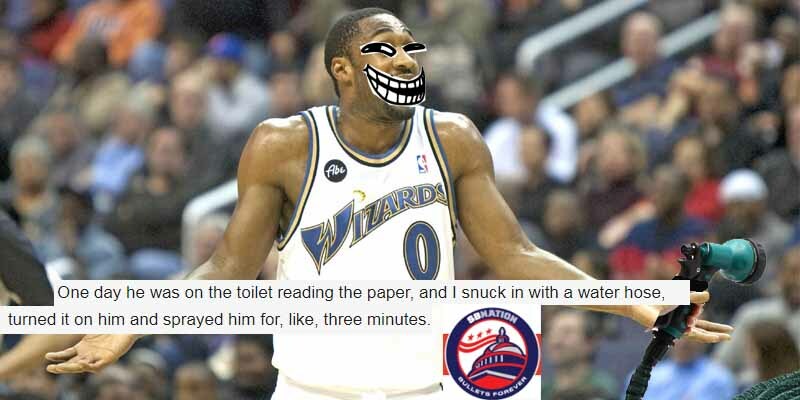 According to Arenas, his Wizards teammate Awvee Storey had a bad attitude so one day during the 2005-6 season Hibachi tried to make him smile. What’s the best way to get someone to smile? By Gills’ logic it’s to hose them down for three minutes while they’re sitting on the toilet reading a newspaper. For some strange reason, that didn’t work.